On this episode, Zac and Ben are joined Shawn "Saje" Geroux from Star Wars Wastelands and Fandom Fraternity to discuss one of the most beloved films of all time, Back To The Future! 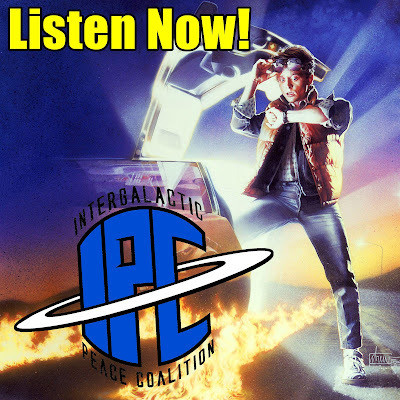 Ben and Zac, having just seen it for the first time ever, share their initial impressions, while Saje talks about growing up with the 1985 classic. Furthermore, they break down the favorite characters, scenes, the music, the cast, and all the rest. Plus, when and where would you go in time? What will BBQ be like in the future? And should Back To The Future be rebooted? They answer those questions and more!